Life is nothing but some incidences of happiness and joys, some experiences of sadness and sorrow. In short it is a blend of ups and downs, ebb and flow, it is all about how we make merriment out of every possibility which the life throws at us. Happy jiffies are created, whether it is to have a favorite cup of coffee, grabbing a good novel, reading your favorite fashion magazine, watching football match, or going to shop for yourself. We make happy hours by ourselves and of course nobody would come to the door at 3am with French fries, we really have to work for our own good hours. But out of everything, we observed that men and women both take equal interest in shopping whether it be walking in the shopping malls, streets or sitting on the room coach at home doing online shopping; people are just super nuts about buying themselves new dresses, accessories, devices, electronics, home and décor, grocery and things like that. And when things are bought, we also need hand carries to fetch the belongings, and goodies. Therefore usually plastic, paper or other shopping bags are used to providing a careful and safer carrying experience. 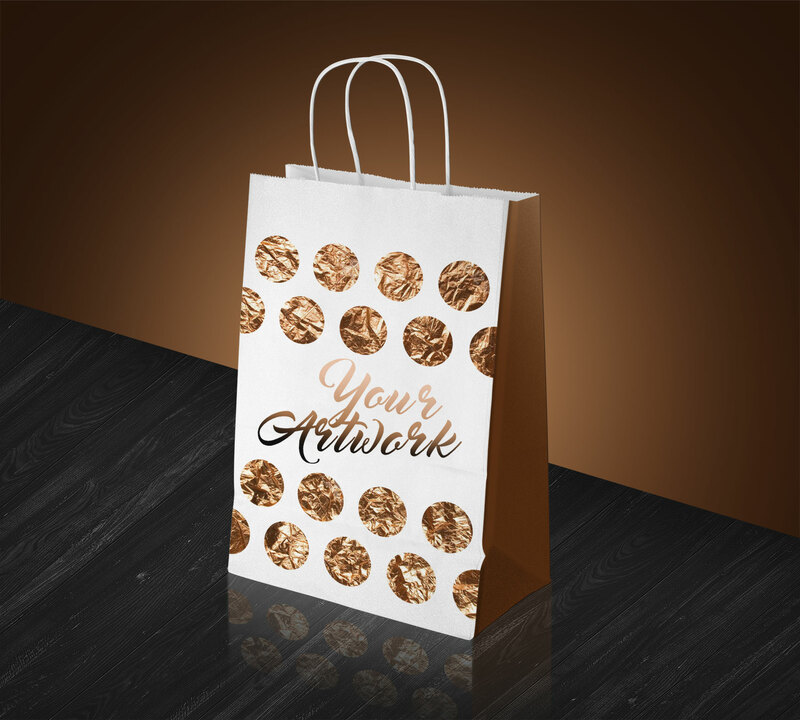 Down here I am providing you free white paper shopping bag mockup PSD, you can insert in the elements of design that your client asks you to put up, a brand’s logo mark, name of the shopping mall or anything can be placed on this mockup of shopping bag. It is then ready to be displayed as prototype of the actual shopping bag. This way, the client will get to see how his shopping bag will look like. For more amazing design feed, and freebies you must keep a check on us and that can only be done when you subscribe to our blog. We post regular assortments of art, tech and design to accommodate the designers and developers. I hope you never regret you time. Here we go to come again with something exciting tomorrow.